This morning we are excited to put out the latest update to Showit! This update comes with some major updates that will make editing your site a whole lot easier and some enhancements to use your site in new exciting ways! Making changes across multiple layers just got a whole lot easier. We've drastically reduced the number of clicks it takes to make changes across as many layers as you need. Want to change the text size or color across your entire navigation... now it only takes a few clicks. Want to make all your images transition out the same way... just a few short clicks. The same goes for size, position, rotation, locking, links, and effects. Editing your site just got a whole lot faster! We've changed the way you add effects to your layers to give you a little more freedom to do what you want and to give us some room to add more. You'll want to check out some of the new ones we've added... especially the Color Adjust effect. 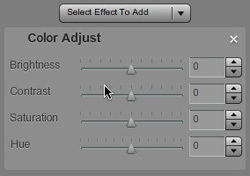 Now if an image doesn't look the way you want it to out on the web or you want to desaturate it... you can make some fine tune adjustments right within Showit! 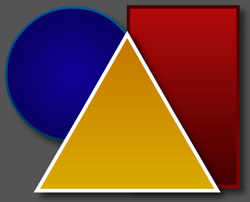 We've redone the shapes in our media library to give you a lot more control over their style. You can now easily add round corners, gradients, and borders. Try adding a subtle gradient across a background square to get that finishing touch. Add a square with a black and white radial gradient, change the blend mode to overlay... and you've got yourself a nice vignette. The new polygon shape can take on as many sides as you want as well! Triangles or stars are all at your fingertips now. We've taught our software to behave a little better for you as well. Those pesky page groups will stay closed or open just the way they're supposed to now and they'll even stay nicely across editing sessions. And the same goes for the widgets and the advanced tab. You'll also notice we've added some menus when you right click. 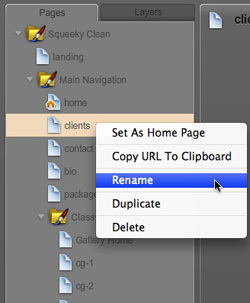 On the page list you'll be able to get the URL for any page or rename it right from within the list. Now you can take your site to new places... your blog header! We've heard from a lot of you that you'd like to make your blog and your site look more alike... so we're taking steps in that direction. With the brand new ability to embed a page of your site... you can now easily customize your blog header or the top of your SmugMug page. Having a tough time using the drag select without dragging that layer in the background? Without any layers selected... hold down the Shift key before you start your drag select... this should allow you to drag select without messing with that layer in the background. Excellent stuff guys! I'm telling everybody I know about SIS. Glad to see that folders will remain closed. I am still waiting SEO enhancement and that will continue to temper my enthusiasm for SIS.